Hey! It's Mom's Library time again. This week Mom's library is headed back to school. I'm sorry to break it to you, friends, but school days are lurking around the corner. If you are a teacher at home or a teacher in a school setting, you are probably already beginning to unpack the classroom and plan the lessons. This year as you plan your school year, make sure you take time each week to check the wonderful free resources here at Mom's library. This week I am featuring back to school activities. There are language arts activities, math activities, social studies and science activities, and resources for art with kids. Mom's library is a great place to begin planning your school year. Mom's library is a linky party filled with parenting tips, activities for kids, stories, crafts, recipes, and more! Plus, each week we host a weekly giveaway. Be sure to subscribe so you don't miss the next Library! Follow the Mom's Library Pinterest Board to see all of our featured posts. Last week we were lounging on the beach with ocean and beach activities for kids. This week, it's time to hit the books. Letter of the week preschool craft: N is for Night from Crystal &Co. a fun letter of the week craft, snack, book. Blends Wall Cards from 3 Dinosaurs This free printable covers beginning blends. Get your freebie and find ways to use these free cards. Number Recognition with Icecream from Gummy Lump There were several ways to use icecream cones for learning in this post. Some will work well for language arts and others for math. I loved the idea of adding sprinkles to numbered cones. You can also use icecream cones to practice colors. Kite Printable: Count and Clip Card from The Measured Mom - This freebie is a great way for kids to practice counting and fine motor skills! She also has other themes to choose from. The Life of Walt Disney Lapbook from Enchanted Homeschooling Mom would be great for studying biographies of famous americans. Walt Disney was a famous Missourian and was always included in our fourth grade curriculum. Kids loved learning about him! Great Science Picture books from Pragmatic Mom (Guest post from What do We Do all Day?) - picture books are a great way to introduce science concepts and this post offers several very engaging picture books! Oil and Water Science Experiment from Little Bins for Little Hands - a pop of color keeps kids engaged in this science experiment. Mondrian for kids and babies from Lalymom- a great post with information about the artist, Mondrain, and art projects for young kids! My favorites were the light box activity and the pattern sticks. Need more ideas for back to school? 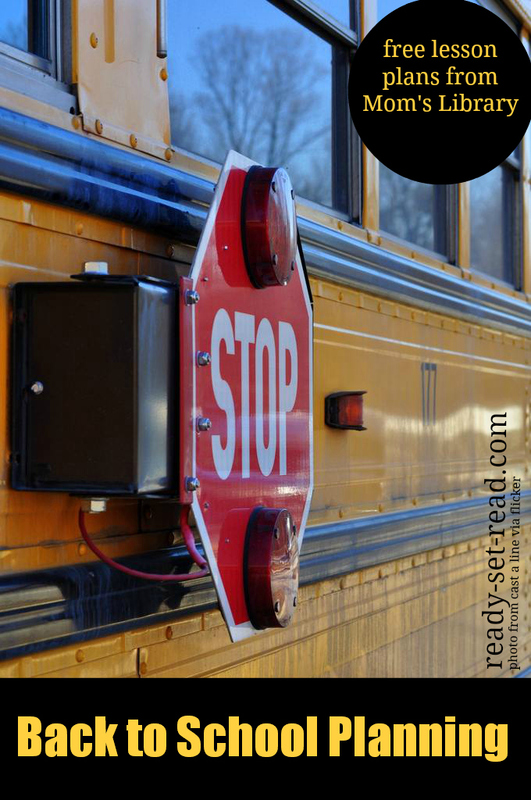 Check out my back to school Pinterest board! I'd love if you'd follow me on pinterest while you are there. Each week, the librarians of Mom's library team up to share a giveaway. This week's there are TWO giveaways. 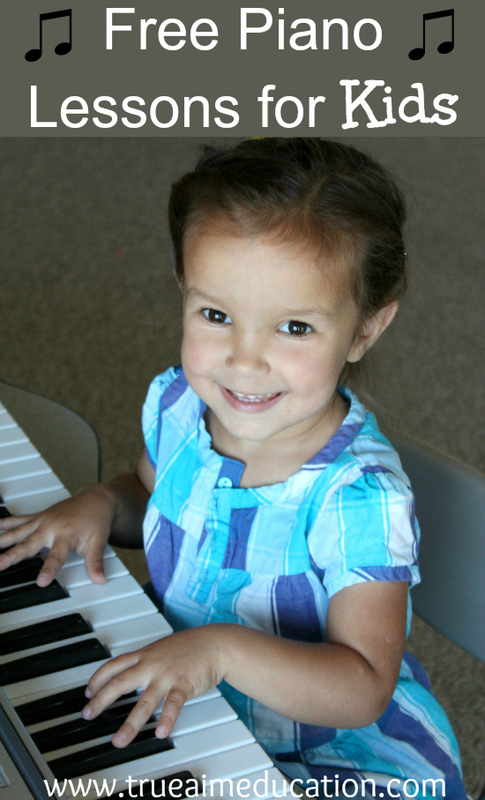 The first giveaway is from FreePianoLessons4Kids.com. You can check out their free online lessons, and enter to win materials that accompany the lessons. The second giveaway is a fun new ebook, Blucy: The Blue Cat by Julia Dweck. We just got a new kitten a couple weeks ago, so I can't wait to check out this new book when it is released. Check out Crystal's Tiny Treasure's review of Blucy: The Blue Cat. Four readers will win an ebook of Blucy: The Blue Cat. You can enter on the rafflecopter below! Is it that time already? Yes, less than a month left for us before going back to school!